Airports have some pretty ridiculous names, including naming them after a city they are over an hour away from (London Southend Airport amongst many! ), and some that do encourage a chuckle (Moron Airport? ), but did you know about these airports with the longest names? 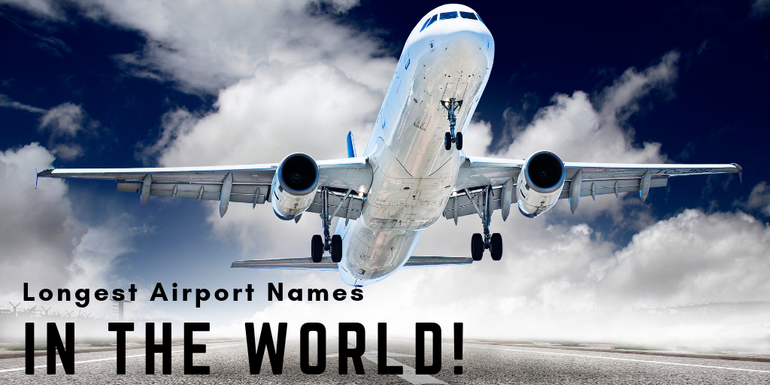 We’ve got the top 5 longest airport names according to World Airport Codes for your enjoyment, and just to add to your excitement there’s a fun quiz to take at the end! What is the longest airport name in the world? So it’s a helipad but we’ll let this one off for its long name given the importance of it! This one is located in Moscow, Russia. This time it’s a Canadian Heliport with children’s hospital connections! I think this one cheats by adding the brackets! A small airport on a Canadian Island. Canada again – they love their long names! This time it’s Vancouver! Only an airport in Dubai could have a name this fancy! So now you’re all clued up on the longest airport trivia, take our quiz to test your knowledge about airports across the world! You’d think we’d get 10/10 here at Airport Parking Shop but a couple stumped us!